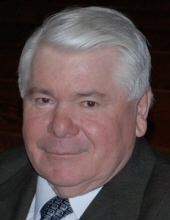 JOHN PACH, age 79, passed away peacefully on January 12, 2019 with his loving family at his side.Beloved husband of 53 years to Anna nee Galczynska; cherished father of Lucynka (Stas) Wrobel and Grazynka (Wladek) Szewczyk; devoted grandfather of Alexander, Gabriella, Andrew and John; dear son of the late Antoni and late Anna nee Koziel; dearest brother of Vicky, Frank, the late Joseph, late Walter, late Ted and the late Leo; fond brother-in-law, uncle, cousin, and friend of many. To send flowers or a remembrance gift to the family of John Pach, please visit our Tribute Store. "Email Address" would like to share the life celebration of John Pach. Click on the "link" to go to share a favorite memory or leave a condolence message for the family.